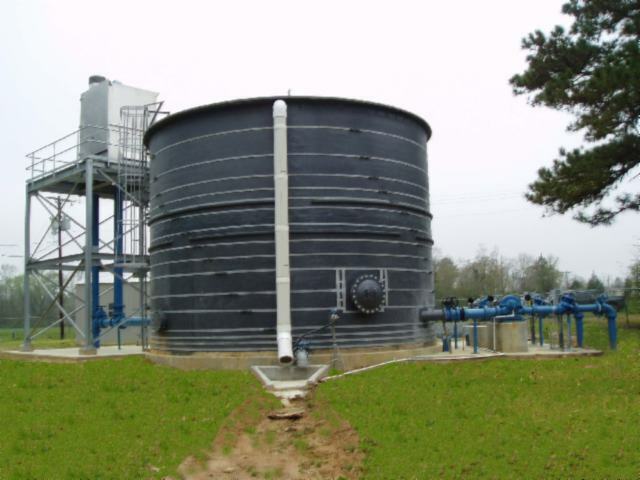 Fiberglass Storage Tanks for chemicals, water, and oils. Our fiberglass tanks vary from sizes 10 gallon to 100,000 gallon to meet the needs of industry, municipalities, subdivisions, farms, and homes. Although these are specific applications of our products we also custom design tanks and fittings to meet your specific needs. Two 50,000 Fiberglass Chemical Tanks with catwalks between tanks on location. Engineered, designed and manufactured at our facilitiies. 65,000 gallon Fiberglass Above Ground Storage Tank. One of two identical commercial - municipal fiberglass water storage tanks. 65,000 gallon Fiberglass Water Storage Tank. Designed and custom built for a muncipal water system. 23,000 gallon Fiberglass Chemical Tank. One piece construction at our plant site. Delivered to construction site. 15,000 gallon Fiberglass Chemical Tank with ladder. All fittings and accessories manufactured at our plant site. 1,000 gallon Fiberglass Oil Tanks - 7. Underground fuel storage for military installation. 6,000 gallon Fiberglass Water Storage Tank. 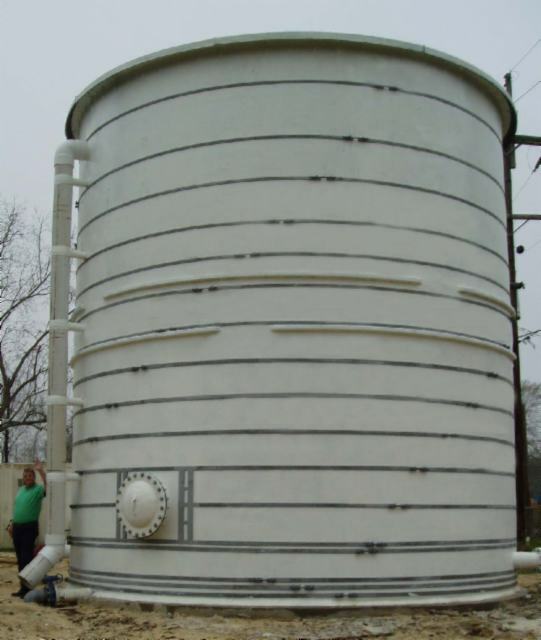 Our company also manufactures intermediate, economical size tanks for small projects. 4,500 gallon Fiberglass Water Storage Tank. This above ground fiberglass water tank used for drinking water in a rural apartment complex. 120, 360, 600 Fiberglass Water Storage Tank. Rural and residential fiberglass holding tanks.